Paris, the City of Lights, is lit up more brightly than ever these days. At its best, its soignée approach to life is still some of the most exciting to be found in the world. At its worst, it is still a tad imperious and it might have every right to be since it is a city so steeped in the world’s history. Join us as we stroll the boulevards seeking one-of-a-kind tres΄ magnifique experiences that delight all the senses. Once, on a flight to Geneva, a woman seated next to me said that it would be better to not visit Paris at all than to be there for only one day’s layover, as I was planning. No truer advice was ever given. So, with the opportunity to spend more than a day’s time in Paris arose, I saw that only a day to enjoy the city would have left my heart yearning for more, so this time around I stayed a little longer. In the famous song of the mid twentieth century, “Lush Life” professed that a week in Paris could ease the bite of just about anything. And, I learned, it does. When I first arrive in this legendary capitol of France, the city’s elegance immediately starts to infuse me to my core. Anything and everything about the city… such as fresh chocolate and almond croissants, magnificent architecture, or the all around high-chic Parisian style beckons any visitor, whether it is his first or fiftieth time there. On a recent trip, instead of flying into DeGaulle airport, I had the good fortune to take a super train from the Bordeaux region of France directly into Paris, seeing not only the countryside that envelops the city, but also saw the eye-catching country home set who were traveling back into the city on a lazy Sunday summer afternoon that, in my mind, would usher in a week of non stop glamour and excitement of the other city that never sleeps. Lots of singletons, couples with children and those spanning many generations boarded from the country enclaves. To see them not traveling wearing the equivalent of daytime pajamas, as has been seen of late with both domestic and international tourists, was a refreshing change. The street fashion seen on the boulevards in Paris is also truly captivating. Chic, a well known and oft used French word, was surely created to define the city’s everyday style. Parisian women of all ages understand the importance of accessorizing to compliment even the most casual of weekend afternoon outfits… from good jewelry including brooches, to scarves, gloves, good bags and even better shoes. For work and social outings, the extremes of slim shifts to flirty ruffles rule the fashion scene currently. Bold colors offset by more somber tones add the duality that defines many a French woman’s own personality… naughty and nice. The classic Chanel No. 5 fragrance is still an enchanting scent that can be detected on a certain woman with a certain flair…while having drinks at Hotel Costas or merely standing in line behind her at a neighborhood patisserie. The French just have a way about them. French men have understood their own style since the days of the Louis kings. On the streets these days, savvy professional men, younger, as well as older ones, have adopted the newer slim suit silhouette, yet are making it their own with loosely knotted ties, whimsical cufflinks and monk strap shoes. All made by French designers, of course. It’s a sexiness of style that few cultures can boast. After all, it is common knowledge that French men are known for their genetic predisposition toward amour… sometimes appropriate, and if the target of his amorous attention is lucky, quite inappropriate. This bent toward love seems a pervasive – and persuasive - part of life here. “I enjoy how Paris continually delights the senses – of what an aesthetic city it is,” says Kristen O Brien, Brilliant’s Paris city editor as well as working in the Paris bureau of the New York Times. “I love the city because of the potential of romance around every corner. 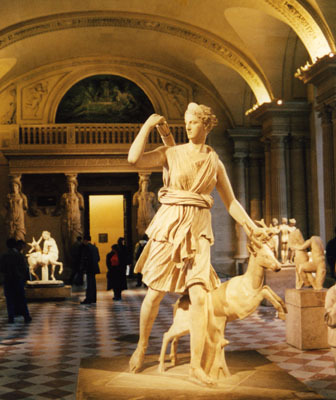 There is also a romance in the richness of sounds, sights, smells and tastes that Paris offers, too”. I’ll say. Everywhere I turn, I see people kissing and embracing – real, deep embraces - on corners, in parks, in public – and private - transportation.Paris has also often been called the City of Love, and to witness all the public displays of affection, the moniker is for good reason. Recently, when the decline of Americans in Paris was so notable, the French tourist industry even launched a campaign targeted toward American tourists titled, ‘Let’s Fall in Love Again.’ Walking around the city, it’s easy to get caught up in the emotion of it all and while sighing heavily at something, I was asked by someone nearby if I’d swooned. Perhaps I did. In fact, it happened many times over in each beautiful arrondissement section I encountered. Knowing that going out at night is just as glamorous an endeavor, Robicquet muses, “To start the evening, I would invite some friends for an aperitif at the Experimental Cocktail Bar where they serve excellent drinks, go to the theater and finish with a late dinner in one of my favorite restaurants, perhaps at Hotel Costes. The best part of this day would be on my way home to drive along the Seine river, and look at the most beautiful city of the world : the Eiffel Tower, the Grand Palais, Alexander III bridge, the Louvre, the Orsay Museum, Notre Dame.” Other trendy areas I personally discovered through insider recommendations in Paris include Le Marais, Saint-Sulpice, Avenues Montaigne and Saint-Honore, Sevres-Babylone, Place des Victoires, Les Halles and Saint-Michel - all sublime French experiences. Nobody shops on the Champs-Elysees, unless they want to find the quintessence the same boxy chain stores also easily found in Boise, Idaho. While in the city, in between exploring to your heart’s desire, there are myriad hotels from which to choose. All dazzling. The usual five-star grand hotels are always a top choice for any serious traveler, such as the Georges V, Plaza Athenee, or the Ritz. I chose the Hotel de Crillion, next door to the American Ambassador’s residence on the Place de la Concorde in the center of Paris, at one end of the Champs Elysees boulevard that leads directly up to the Arc de Triumph. President Bush and his team were arriving at the Ambassador’s later in the week, so security was heightened near the hotel. Situated in the heart on this world-famous Place de la Concorde, near the Sienne River, the Hotel de Crillon is within walking distance to the luxurious boutiques of the Faubourg St.-Honore and also to the Avenue Montaigne, the Louvre, the Tuileries Gardens and many more of this famous city’s most acclaimed attractions. 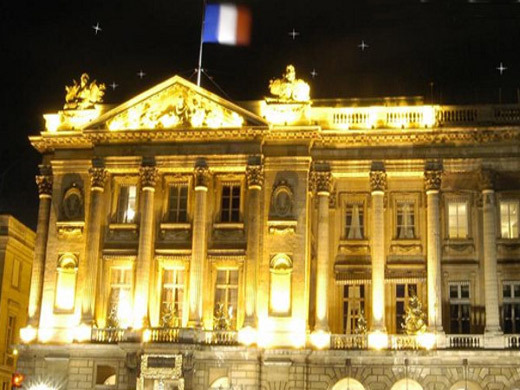 “The Crillon is a unique and opulent hotel in the most sought after location in Paris,” states Richard Gomel, president of the Societe du Louvre, the group that owns the hotel. Like everything in Paris, the hotel is steeped in history. Commissioned in 1758 by Louis XV; the Crillion family acquired the palace in 1788 where it remained in the family until 1907 when the Societe des Grands Magasins et des Hotels du Louvre transformed it into a palace hotel catering, in part, to the American industry tycoon families and their daughters visiting to find married European titles to marry. Other prominent guests through the years read like a Who’s Who: Emperor Hirohito of Japan, Sir Winston Churchill, King George V, Charlie Chaplin, Jackie Kennedy Onassis and even, the Dalai Lama. While it is currently undergoing an extensive room renovation, the hotel’s guests would never realize its extent while staying there. “My intention is to revive the magnificence and grandeur of this world famous hotel: a true gem in the heart of Paris,” says acclaimed designer Thierry Despont, who is also a knight of the French Legion of Honor. My grand suite, one of the 44 “grand apartments” in the hotel, that also includes over one hundred guest rooms, was fit for a prince, or at least, a prince of good fortune. Decorated in tasteful shades of golds and plums, Cole Porter or Cary Grant could easily have enjoyed these rooms in another, elegant era. With a king size bed, couch, several posh occasional chairs, as well as large walk-in closet, the features of the suite also included marble bathrooms with telephone, satellite flat screen televisions, internet, a mini-bar and full valet service. On another design note, all suites are furnished and decorated with Aubusson carpets, Baccarat chandeliers and Wedgewood medallions. Should you want to tear yourself away from such luxury, the property’s on site restaurants and lounges that offer an elegant meal or cocktail are Les Ambassadeurs, L’Obelisque, Winter Garden Tea Room just off the lobby, or the jet set favorite, the Crillon Bar, a confection of claret, reflecting both the drink and the color. It is well know the French love colorful Texans and any opportunity to collaborate is a welcome one. 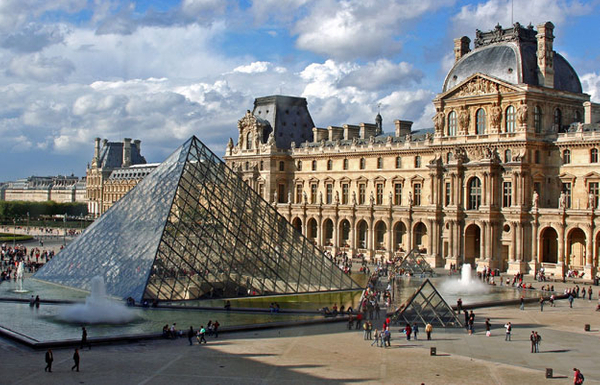 This summer, Houstonian Becca Cason Thrash, along with husband, energy mogul John, and Kip Forbes hosted what some are already calling the event of the decade, the American Friends of the Louvre, Liaisons au Louvre, gala. Over a year of planning went into the three day affair that included a seated lunch at the Ambassador’s residence, a reception at the Baccarat museum, a private exhibition of Da Vinci drawings at the Louvre, tea at Christian Lacriox’s couturier salon, cognac at the Hermes home, as well as trips to galleries and museums of every imaginable sort. Prominent Americans, including many from Texas, packed couture in their trunks and headed to the star-studded affair that culminated in a grand ball at the Louvre museum, with Duran Duran performing their greatest hits while hundreds of international luminaries such as Princess Caroline of Monaco and Bianca Jagger, to name a few, looked on. The after-party, at neighboring Café Marley was where I caught up with them, a party that lasted until 4 AM when the stars of Texas, at night, were still shining brightly as the glistening horizon beckoned another day in paradise on what was certainly a trip of a lifetime to the City of Romance.